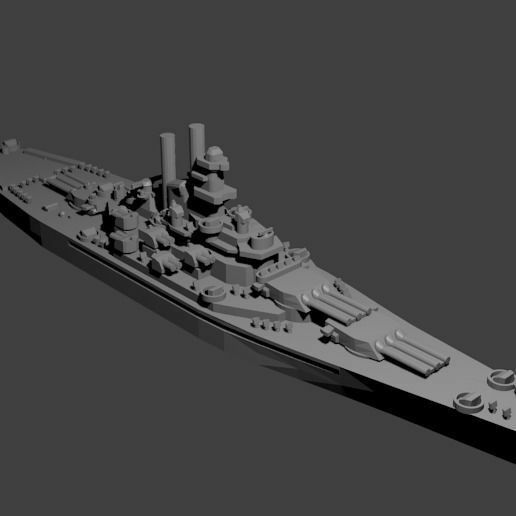 1/1800th scale New Mexico class battleship model. Certain elements not to scale. The New Mexico class was a trio of battleships built for the US Navy during WWI. All three survived the war and one remained in commission for another decade. They carried twelve fourteen-inch guns and initially twenty-two five-inch guns, but that number was reduced to fourteen. They also carried two torpedo tubes under the waterline.